With absolute confidence and total arrogance being the foundations of his personality, in Namor, the Sub-Mariner, ruler of undersea Atlantis, Marvel have a potentially wonderful character. The trouble is, it counts for nothing when you’re looking at a guy in swimming trunks. That may have worked in the 1940s, but was already odd in the 1960s, and a mid-1970s change of costume only partially rectified matters. 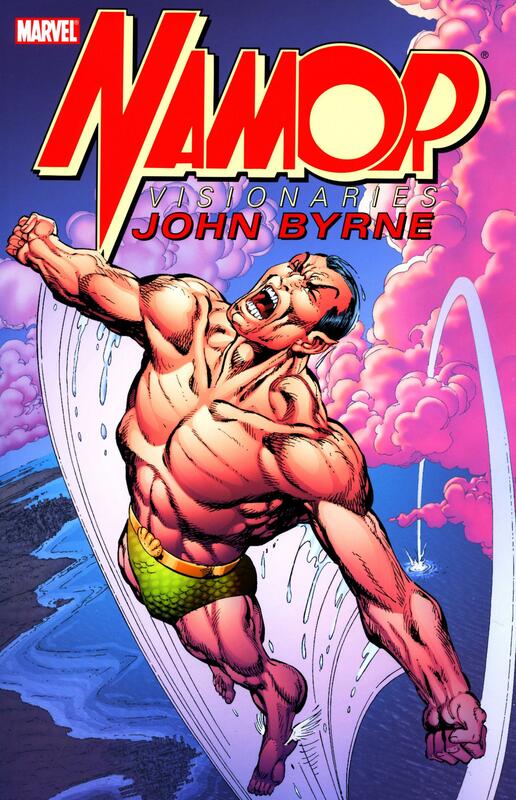 It took John Byrne’s modifications to make sense of Namor. 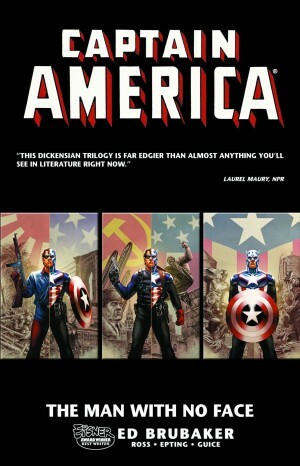 It’s no coincidence that the cover to the first issue collected is strapped “out of the depths… and into the 90’s”. 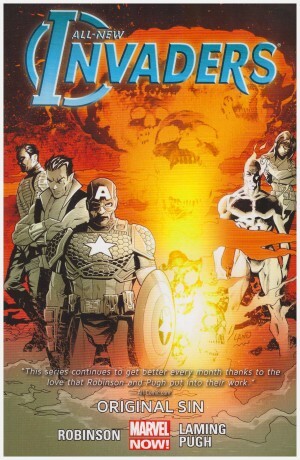 In an opening scene Byrne displays Namor’s intolerance and temper, deliberately echoing his part in the 1960s revival of Captain America, before reinforcing his dual Atlantean and human nature via replaying his origin and coming up with a reason for mood fluctuations. It’s a primer in how to explain and establish a character in just over a dozen pages. Byrne sets Namor up as a corporate titan with an ecological agenda, the source of his funding a brilliantly obvious method used long ago by Stan Lee and Jack Kirby, then forgotten. 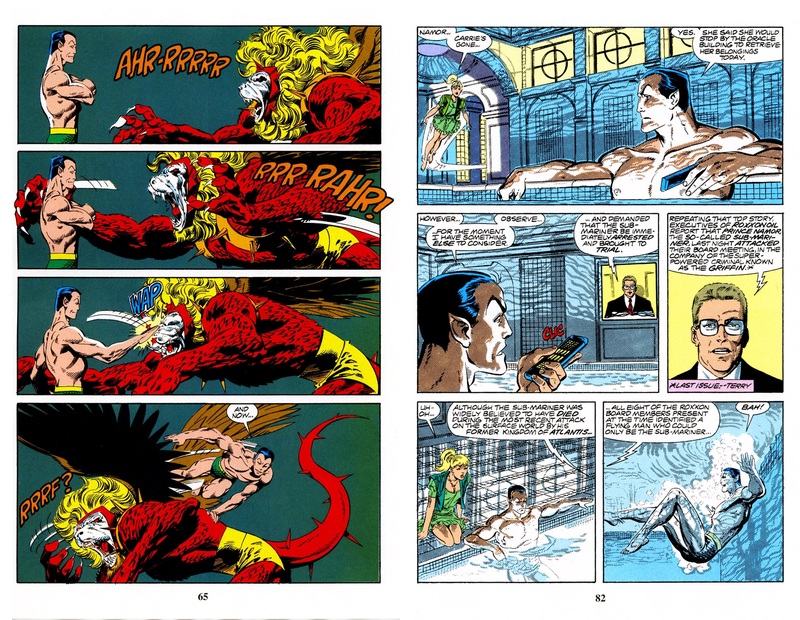 Undersea action is on the agenda, but it’s largely around the Atlantic coast and Hudson river as Namor is based in New York and is supplied with eccentric and devious corporate enemies. Greed, sabotage and ecological zealots are all on the agenda. The strange thing about Namor is that this is still a man in swimming trunks, but Byrne enforces a visual solidity and grandeur. When standing still Namor is rigidly upright, his perfect physique almost a challenge, and Byrne applies the athleticism of a gymnast to the action scenes. While Bob Wiacek inks the pencils over the first few episodes, the remainder is Byrne producing all art bar the colour (nicely applied by Glynis Oliver). It’s not noted here, but in the original comics Byrne explained his use of duoshade textured art boards, responsible for the distinctive shading and water effects, which retain their subtlety. Otherwise it’s Byrne’s usual solid storytelling guiding us though, although he draws the twinned corporate villains with odd oblong heads. His dressing them in the height of 1990s fashion, however, is funny. 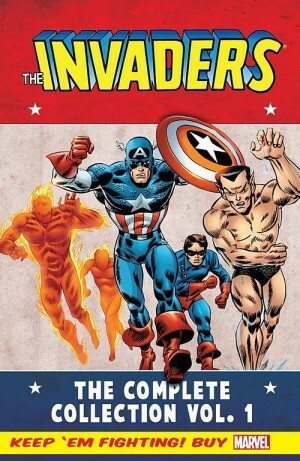 By the end of this collection it’s apparent that setting Namor up as a businessman was more a way of involving him in a world than anything to be explored in depth, but that’s fine as this is superhero adventure after all. The corporate threats hovering in the background are somewhat archly overplayed, but otherwise everything is swimmingly planned and a lot of fun. Also worth noting is how many of the supporting cast and villains are women, with Headhunter’s eventual purpose disturbingly hilarious and twisted. 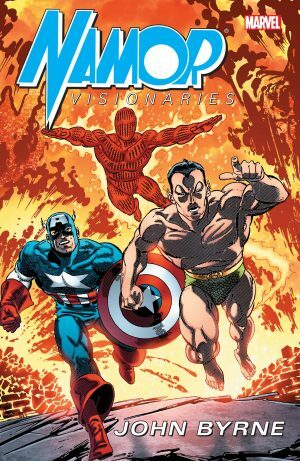 Two mysteries drag us into volume two, the return of Danny Rand, known to most as Iron Fist and like Namor himself believed to be dead, and just what has been going on in Berlin, seemingly linked to World War II?